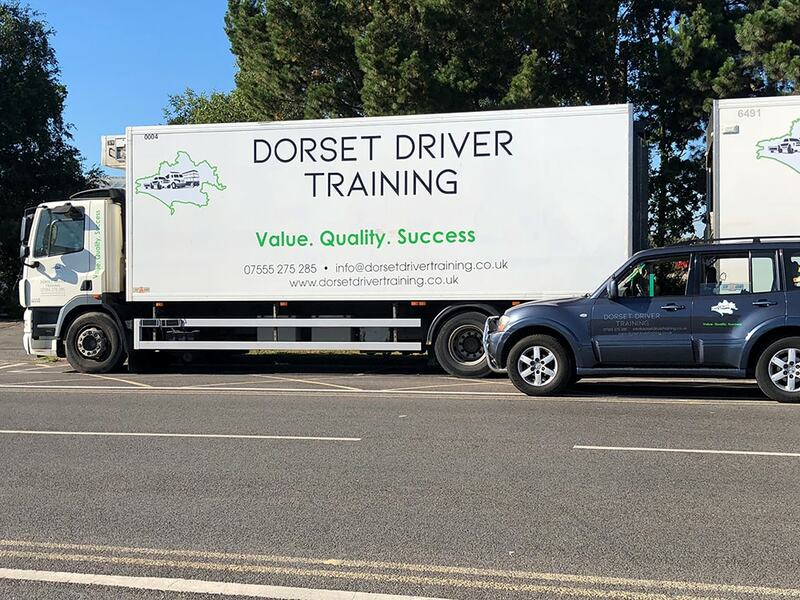 With over 3,000 lorry driving jobs available in the Dorset area and over 100,000 nationwide, anyone considering to get an LGV/HGV driving licence may say that they have made a lifetime investment, and a profitable one. You must pass an LGV 2 medical exam which consists of a brief health check on your eyesight, any existing illnesses and more. You can do your medical exam with you own GP or for a quicker and cheaper process we can arrange your LGV 2 application medical with our practitioner in Bournemouth. You will be required to take a D4 medical application form with you. We can provide the required D4 forms. please ask our instructors. Most courses are booked Monday – Friday but can be midweek or Saturday testing if the trainee requires. * Training and passing on automatic will give you a full manual and automatic lorry licence provided you already hold a manual car licence. From past experience we have learned that most trainees achieve the required level in a 20 – 24 hours course. The hours are spread over five days, and each lesson has a duration of 4 hours. However this can be adjusted to suit individual needs. • showing you popular test routes you are likely to encounter as part of your driving test. Please consider when deciding which LGV training course would suit you best, that if you try to select a shorter trailer training course in an attempt to save money, you may not pass your LGV test first time, and may end up spending more money on re-tests than if you selected the most appropriate course for your skill level in the first place. If you are unsure about which LGV course would suit you best, then please contact our office where we will be more than happy to help you decide. During the road part of the test the LGV examiner will assess you ability to interact with other road users. You will be examined on your general driving and on set exercises. The set exercises will include an ‘S’ shaped reverse into a bay. The category ‘C’ licence is for learning to drive vehicles with a greater weight than 3500kg, along with trailers with a maximum weight of 750kg. The category ‘C+E’ licence is for driving vehicles which have a bigger weight than 3500kg, along with trailers with a weight over 750kg. The category ‘C1’ licence is for lorries between 3500kg and 7500kg, along with trailers up to a maximum weight of 750kg. Generally, this is the first step for prospective lorry drivers. The category ‘C1+E’ licence is, again, for lorries between the weights of 3500kg and 7500kg, but this time a trailer over the weight of 750kg. On a side note, the weight of the lorry and trailer can’t amount to more than 12,000kg in total. In order to get an LGV/HGV licence (category C), you must to be at least 18 years of age and have a full manual driving licence with Category B. 3 lessons of training and the test on the 4th lesson suitable for driver with substantial experience on 3.5 tones or 7.5 tones vehicles.